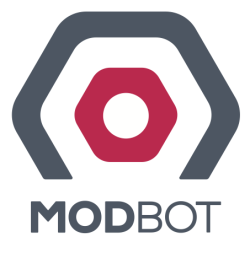 Modbot brings industrial precision and power to consumer assembled robots. Imagine automated manufacturing and consumer robots within reach of everybody, assembled like Lego. Modbot is a system of affordable and re-usable modules that snap together, filling the gap between $100 hobby and $20,000 industrial motion equipment. 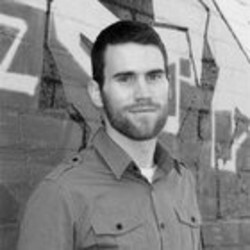 Adam Ellison is the founder at Modbot. 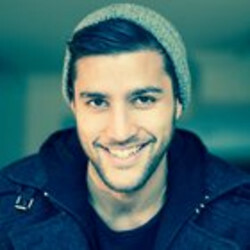 Daniel Pizzata is an entrepreneur, musician, photographer, engineer and director of the Australia progressive urban clothing label D,LUX Clothing. A specialist in a few fields, he has worked across the fashion industry in Australia and the United States. Daniel models and acts part time and maintains a connection to music through writing and local music production. AdvertisementTechstars has sent robotics startups, including Brewbot and Rise Robotics, through its program in the past. Qualcomm and Techstars announced a robotics accelerator today that will include about 10 projects in its first class, which begins in May in San Diego. AdvertisementAdvertisementI wouldn’t be surprised to see a very broad definition of a robot reflected in the first startups Techstars and Qualcomm select. Qualcomm will give $120,000 to each startup, each of which will spend four months developing their product with Techstars’ team. Falling costs and improving technology have given rise to startups reinventing what exactly it means to be a robotics company, and corporations (and money) are noticing. San Francisco-based startup Modbot aims to make robotics massively accessible so everyone can build their own robot. AdvertisementLearn more about product design with Fusion 360 here. “We believe the primary reasons it isn’t already happening are that robots are too expensive and complex. In this video, check out where the robot revolution is going next, how Autodesk Fusion 360 played a part, and how you can join Modbot’s story. What’s your dream robot? On stage, CCO Pranav Kosuri used Flic to start playing his favorite song on a mobile device. AdvertisementRobots can be designed in Modbot’s software and programmed from mobile devices once built. AdvertisementSensilkAdvertisementAdvertisementSensors are now small enough to be woven directly into fabric, and Sensilk is taking advantage of their miniaturization to produce a line of connected clothing that can monitor their wearer’s heart rate and other vitals. Connected bike lock maker Skylock and smart cooking scale Drop also made an appearance, showing off the latest version of the devices they developed during their time in Highway1’s inaugural startup class. Podo is a Triscuit-size camera that uses suction to stick to walls and other surfaces, giving users an exterior camera that they can still control from their mobile device. SugarcubeSugarcube is a pocket-sized media device that enables users to share content from any device to their TVs. And today in San Francisco, we saw the second batch of startups to graduate from it. To help them out, consumer electronics manufacturing company PCH International announced last summer that it was launching a hardware accelerator, Highway1. The first product is a white leather handbag that enables users to upload designs or display animations. sigSensesigSense is hoping to bring big data to field service, with a new type of device that makes gathering data for technicians incredibly easy. They will also be introducing a virtual robot builder for users to build robots in the cloud and then order their parts. The startup aims to put the power and precision of industrial grade robots into the hands of everyday consumers. A new Australian startup, Modbot, launched this month with the sole purpose of putting industrial quality robot building blocks into the hands of everyday inventors. We have learned a lot from previous experience that we are maximising on for our development on Modbot,” says Pizzata. However, the founders of Modbot began working on their game-changing startup before the market had begun to spur. Image - Example - Spider Image - Example - Humanoid Image - Example - Racing Car Simulator Image - Example - Prosthetic Leg Image - Example - Camera Dolly View Slideshow Previous Next ExitRaspberry Pi has helped pave the way for a future where you could easily see kids coming to school with coding and electronics experience in hand. The Modbot team taking part in this year’s TechCrunch Battlefield at CES 2014 wants to do the same for robotics – not hobby robotics, but serious, full-fledged industrial and commercial robot building. Image - Assembly Exploded Image - Assembly Image - Product - Joint (View 01) Image - Product - Joint (View 02) Image - Product - Joint (View 03) Image - Product - Servo (View 01) Image - Product - Servo (View 02) View Slideshow Previous Next ExitModbot founders Adam Ellison and Daniel Pizzata identified a problem in prototyping and building robots for use in manufacturing, research and basically any other application: parts were unnecessarily complicated and expensive, when in reality they could be much more affordable and much simpler, too. modbot04 modbot03 modbot02 modbot01 View Slideshow Previous Next ExitHonda’s Asimo costs roughly $1 million just to make, according to Modbot’s founders, and most of that cost comes from actuators and hardware. Modbot could offer the same sort of thing for robotics, albeit with pricing that while affordable, still reflects a target market of small business users and entrepreneurs rather than kids and hobbyists. That said, let’s welcome our fourteen Hardware Battlefield finalists:Tuesday 11AMAtlas [CrunchBase] – Atlas is a wearable device that tracks and identifies specific activity. Team:Wilfrid Ngo, CEOParth Dave, Hardware EngineerRay Zhou, Hardware EngineerBlaze Laserlight [CrunchBase] – Blaze are an intelligent biking brand. Up for grabs is a $50,000 prize, the first ever Hardware Battlefield trophy, a wealth of press exposure and new open doors. Team:Ed Deng, CEOErin Chung, Product MarketingAdheretech [CrunchBase] – AdhereTech makes smart patented pill bottles, designed to improve medication adherence. Driblet its an innovative smart water consumption management solution that tracks water related variables to empower and encourage people, businesses, organizations and governments to save water and money.